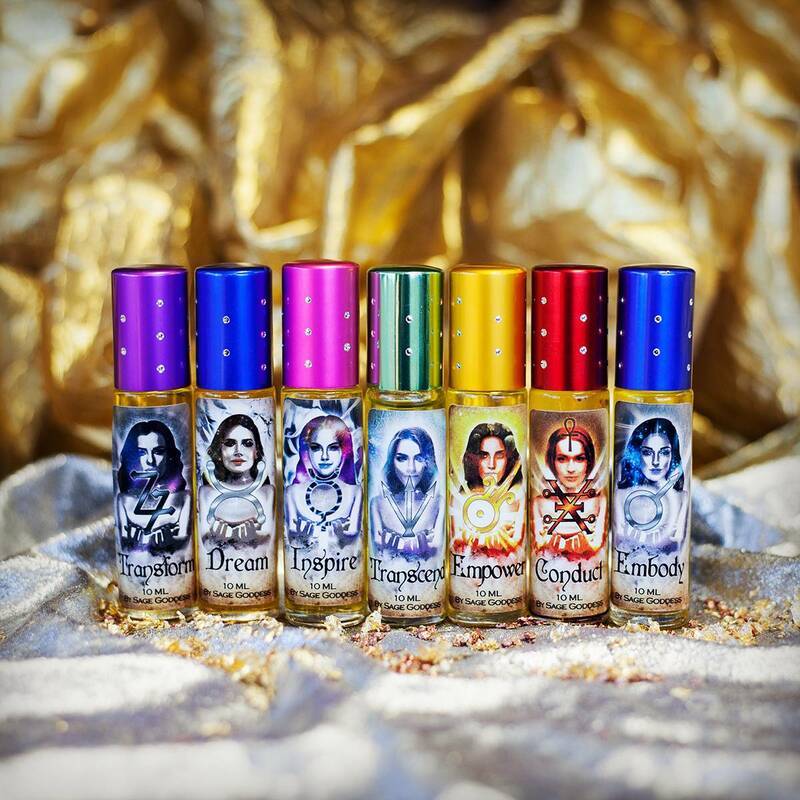 My Alchemist Perfume Line is here! Alchemy is a form of chemistry and speculative philosophy that was practiced in the Middle Ages and during the Renaissance. Alchemy is the ancient art of transformation and transmutation. Philosophers and Keepers of the Old Ways were passionate about transmuting base metals into gold, but ultimately hoping to create an elixir of immortality. The practice of alchemy is as old as time, and as mysterious as any magic ever performed. It’s an art shrouded in deep shadow and speculation. Alchemy is about so much more than turning base metals into gold. It is really about transforming into the version of self that beams with gilded light. The primary goal of alchemists was to perform the Magnum Opus (or “great work”), which is to transmute a base metal, such as lead, into a purified metal, like gold. Symbolically, by undergoing the Magnum Opus, we can transform from a “base” mind into an elevated state of consciousness. 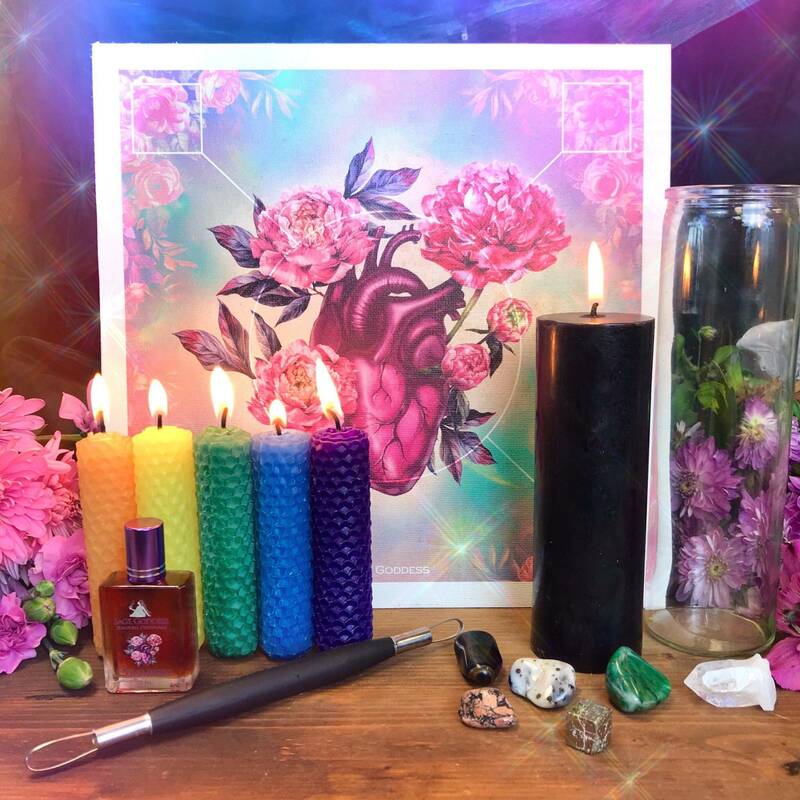 When you work with these Alchemy perfumes, you will stimulate powerful healing within your physical and spiritual bodies, filled with wonderful, fortifying vibrations. Each perfume is 100% pure essential oil, suspended in jojoba, and infused with a clear quartz chip stone to further amplify its properties. Gold empowers you to believe in your self-worth and shine with vibrancy and potential. 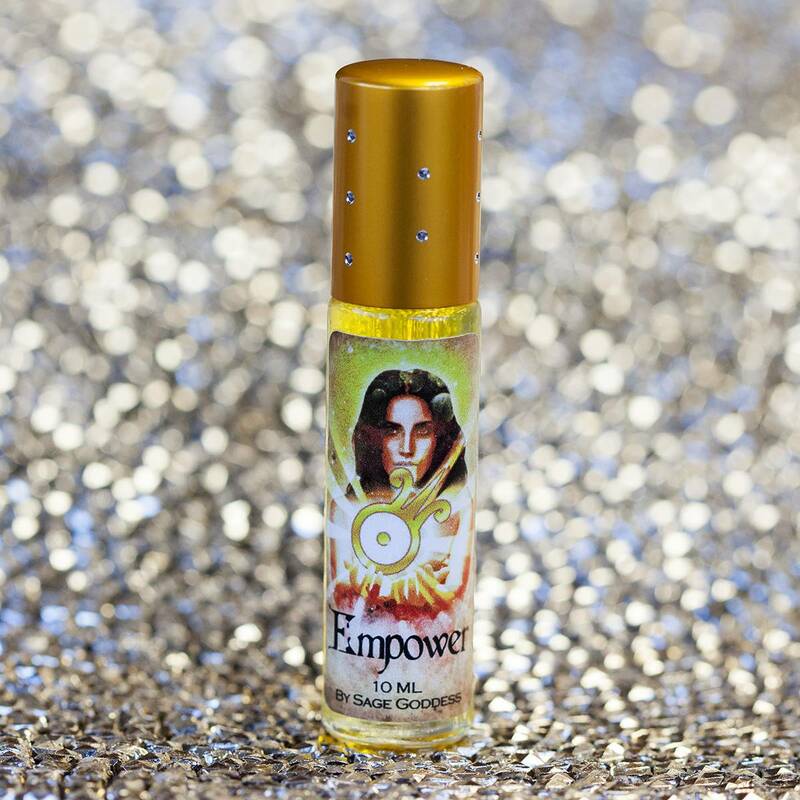 With notes of bay, jasmine, and honeysuckle, my Empower Perfume will activate your senses, awaken your inner power, and lavish you in the energy of abundance and empowerment. Silver awakens the Divine Feminine energy within, and allows you to TRANSCEND into higher states of consciousness. It encourages you to stay focused and emotionally balanced. 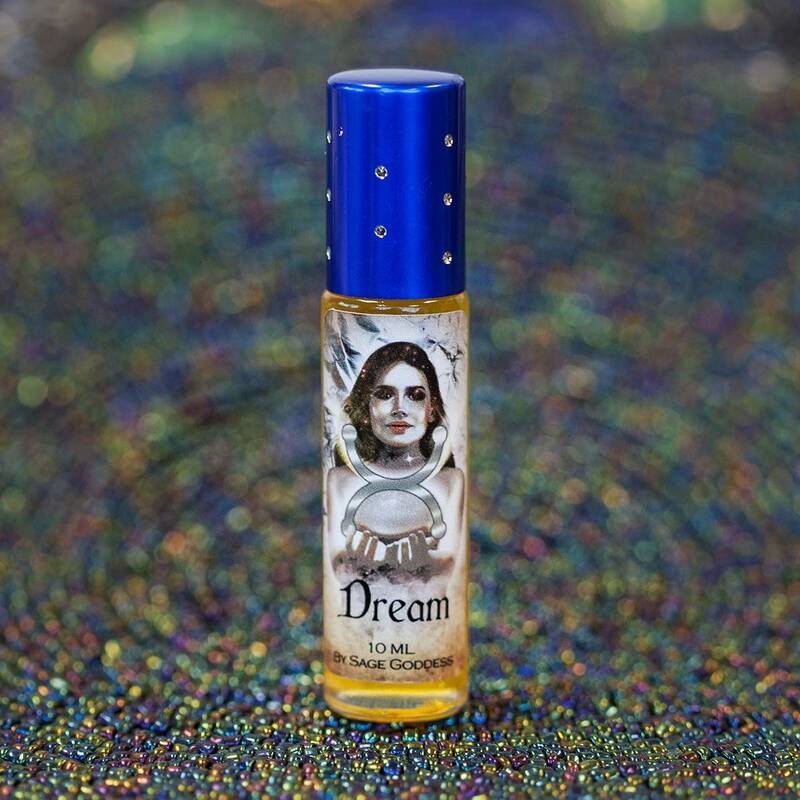 With notes of blue chamomile, blue lotus, and blue cypress, Transcend brings forth the Divine Feminine energy within, inviting you to transcend the density of thoughts to reveal the wisdom inherent in your soul. Iron awakens the Divine Masculine energy and encourages you to EMBODY your own courage, stamina, and resilience. 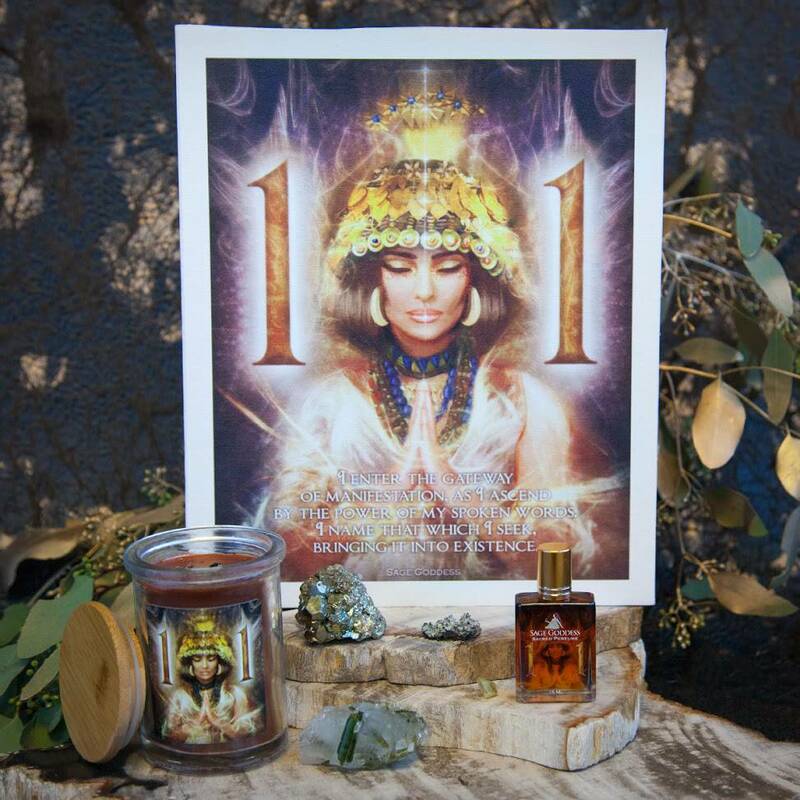 This earthy, rich scent, with notes of black pepper, patchouli, and copaiba, brings forth the Divine Masculine energy within, awakening the inner warrior and setting ablaze the fields of potentiality within you. Mercury, an unusual liquid metal, inspires movement and travel – whether of physical, mental, or spiritual nature. 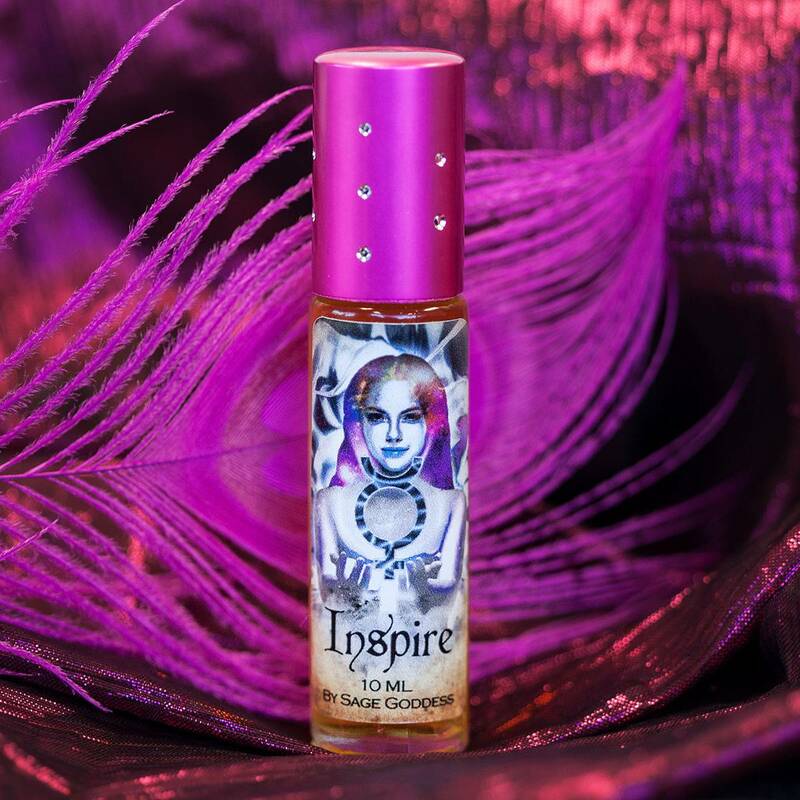 The warm, woody, spicy, and sweet scent of my Inspire Perfume, with notes of fir needle, kapur kachri, and orris root, will delight your senses, arousing inspiration to change what you perceive unchangeable. Tin calls on you to dream, meditate, and balance your philosophical view of life, deepening maturity and knowledge. It awakens the Sacral Chakra calling in prosperity and success, abundance, and healing energy. 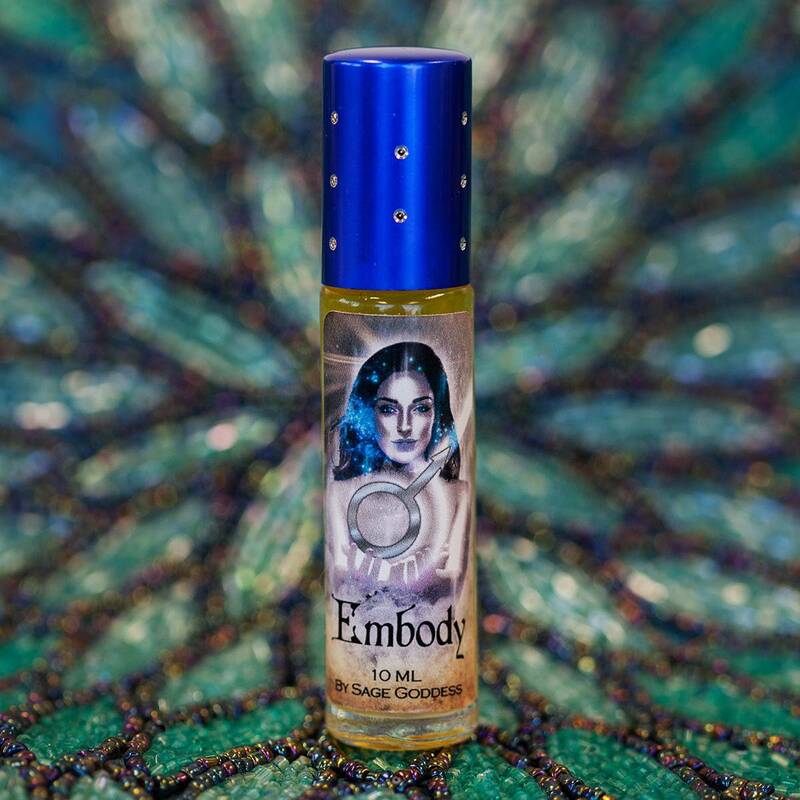 With notes of champaka, cardamom, and star anise, my Dream Perfume will invite you to dance with your creative spirit, giving wings to all that is desiring to be manifested within you. Copper is a metal ruled by Venus. It honors the youthful and nurturing aspects of the Divine Feminine, teaching you how to live a life that is fulfilling and authentic. With energizing and zesty scents, my Conduct Perfume is blended with lemon, neroli, and opoponax. It will powerfully trigger your senses and revitalize your energy centers. Lead is known as the metal of transformation and resurrection – as it burns, it cleanses impurities and removes imperfections, leading you to a state of purification. 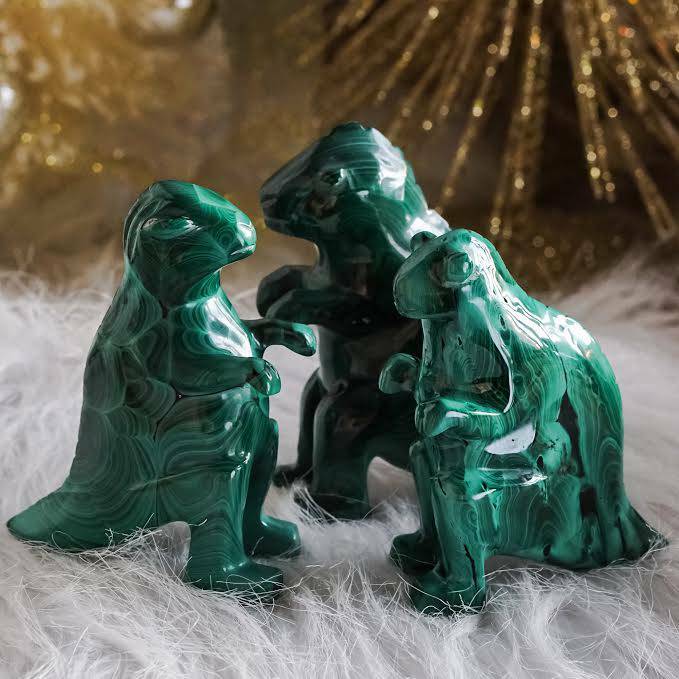 It allows you to communicate with the underworld and connect with your deepest unconscious self. 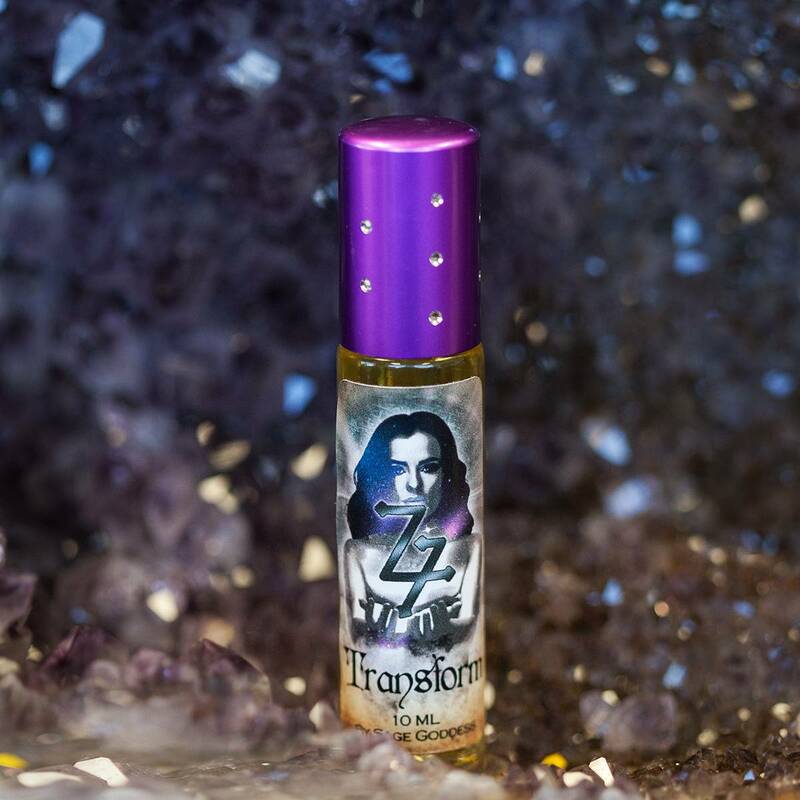 With potent, yet grounding notes of geranium, myrrh, and nagarmotha, my Transform Perfume will lead you on a transformative journey of purifying all that has been toxic in your life. Note: This product is made with natural essential and carrier oils. Cap color, chip stone, and color may vary slightly. For external use only. This listing is for one (1) 10 ml bottle of Alchemist perfume. You have the option of choosing your perfume(s) individually, or select the whole line for significant savings, and use them in various combinations – for your own alchemical experiments! Choose your offering from the drop down menu above. Yours will arrive lovingly parceled for your enjoyment and delight.